The Thai baht opened stronger in Asian trade Thursday, recovering much of the ground lost Wednesday after a bloodless coup ousted Prime Minister Thaksin Shinawatra, dealers said. 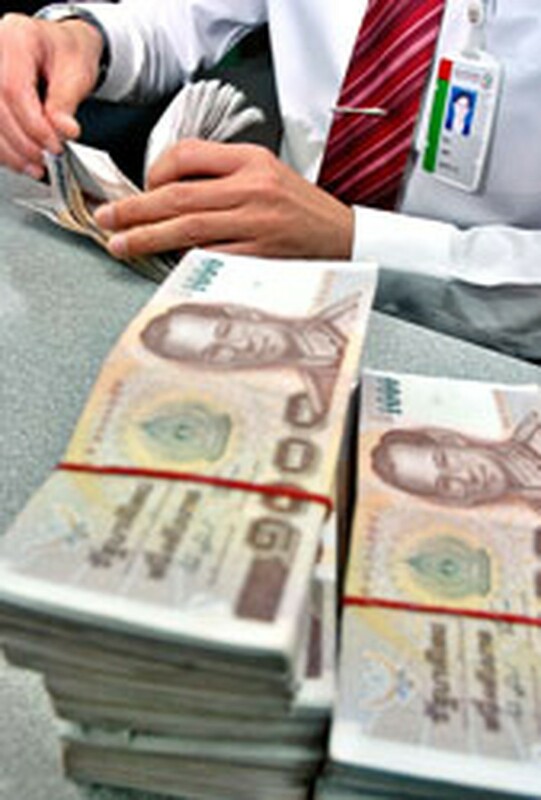 At mid-day, the baht was at 37.58 to the dollar, up sharply from 37.68 on Wednesday. The unit had traded at 37.305 shortly before tanks were ordered onto Bangkok's streets late Tuesday, showing gains against the dollar for the year of around 9.0 percent. "The market price action has been fairly orderly," said Jimmy Koh, a treasury economist with United Overseas Bank Group in Singapore. "It looks like things are fairly calm and it appears that we're going to have a smooth transition (of power)." Army commander General Sonthi Boonyaratglin orchestrated the coup while Thaksin was attending the United Nations General Assembly in New York. Sonthi said Thaksin had been removed in line with the wishes of the people after months of political turmoil. "I will resign as interim prime minister within two weeks and now we are looking for the person who will become the new prime minister," said Sonthi, who added that he hoped to hold new elections in October 2007. News of the coup initially evoked memories of the devastating 1997 Asian financial crisis, which had its epicentre in Bangkok after the Thai government allowed the baht to float freely in the face of a sharp deterioration in the country's balance of payments. That sparked a collapse in the Thai financial system which then spread across the region. Dealers said the relatively peaceful nature of the coup, and the different economic backdrop compared with 1997, would likely limit the fallout. "We doubt that there would be a 1997-type crisis in Thailand," said Lehman Brothers currency analyst Rob Subbaraman. "Besides much stronger economic fundamentals, the Bank of Thailand (BOT) is much better equipped to defend the Thai baht." He said the Thai central bank has 58 billion dollars of foreign exchange reserves at its disposal, compared with 38 billion dollars in January 1997. "But even more important, Thailand is currently not overheating from massive hot money inflows, as was the case in 1997," Subbaraman said. The Stock Exchange of Thailand resume trading Thursday after a one-day suspension because of the coup. After sharp early losses, the market recovered and share prices were 0.74 percent lower in mid-morning trade.